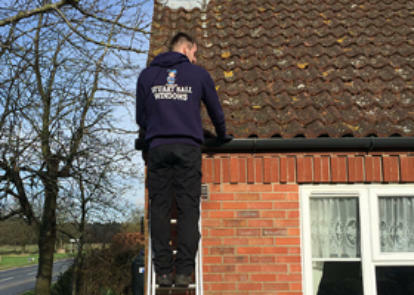 Stuart Ball Windows is based in Norfolk and offers window cleaning in Diss, East Harling, Thetford and Watton, as well as all the villages in between and the surrounding areas. 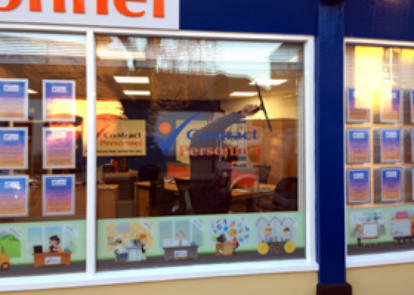 Welcome to Stuart Ball Windows putting people first, not profit. 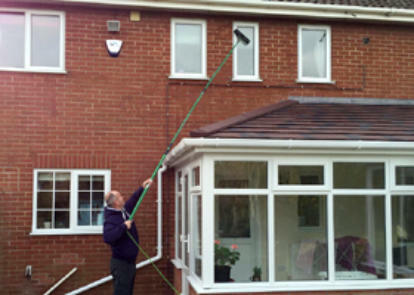 We offer window cleaning, gutter and fascia cleaning to a high standard. We try very hard to give you the highest standard of cleaning. If you are not satisfied please just call and we are back to you by the very next day. We cover a large area including Thetford, East Harling, Diss, Watton and Attleborough. We also cover the smaller villages and there's no job too big or small that won't be taken on. Commercial or private window cleaning; monthly cleaning and one off cleans, we do the lot. We also offer inside and out conservatory cleaning including roof, frames, cills. At Stuart Ball windows we pride ourselves on a reliable window cleaning service done right and will always try our best to do right by you. Please click on one of our services below to find out more.